PATRICK MEDIA is owned and operated by Patrick Pharris. Patrick's knowledge of advertising and marketing is diversified as well as extensive with over 25 years of experience in virtually all advertising mediums. PATRICK MEDIA has positioned itself as an Agency that gives you a big agency product for a small agency price, and has also placed an emphasis on promoting special events for rural communities in Northern Nevada. Our relationships and experience has allowed us to align our talents with the talents of the best people in the industry. 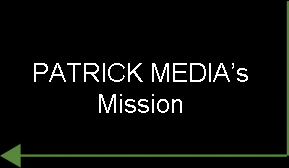 PATRICK MEDIA is a small advertising agency with BIG dreams... to assist other companies and businesses in growing and becoming more profitable in today's competitive and very challenging world. PATRICK MEDIA's business approach is one of low overhead and allows us to share the savings with you. When you spend your advertising and marketing dollars with us, that's what you get…advertising and marketing. PATRICK MEDIA is a full service Advertising Agency that thrives in all aspects of the industry from logo designs to producing half hour television shows and everything in-between. This agency has placed an emphasis on providing a big agency product for a small agency price. My relationships and experience has allowed me to align my talents with the talents of the best people in the industry in and outside our market. Account Executive who handled large lists consisting of local direct, local agency and regional accounts. Proven to increase share all basis and concentrated on creating specialty programs to build local agency and local direct business. Programs to include: "Remind Me Two" breast cancer awareness, "Cooperative Nursery Education Campaign," "Internet Marketplace" and "Subway Athlete of the Week." I was always completely involved in all aspects of the job to include writing, producing, and sales and at one time or another was a top producer in sales at all stations. Management of client list for graphic design firm. Responsibilities included account coordination of design, production and printing. Client list to include Dayton Valley Country Club, Cashman Equipment, YMCA, and Porsche Cars North America, Inc.
Management of local and regional accounts; responsibilities included expansion of exisitng cus- tomer base in northern Nevada. Oversee design, production and printing responsibilities. Responsible for management of leasing department in multi-national media corporation. Formulate new leases and negotiated renewals representing over 250 clients, including Harrah's, Dermody Properties, Double Diamond Ranch. Also, left as top producer of outdoor sales.